In an age where more and more people are suffering with stress-related health challenges and anxiety, depression and insomnia have reached almost epidemic proportions, the use of hypnosis can be the answer for many people. It is fast, effective and drug free which is important for many people who strive towards a healthy lifestyle. Combined with a chart reading, deep and powerful healing will take place. Only a part of our mind is conscious – the part we experience as ‘I’ or ‘Me’ – while the subconscious contains our memories and experiences as well as controlling essential systems such as our breathing and digestive systems. When we are relaxed and calm, the ‘barrier’ which separates the conscious mind from the subconscious is lessened which facilitates positive re-learning, allowing us to replace unhealthy habits with healthy ones. Quite naturally, some people have fear that they may be under the control of the person who is hypnotising them. This could not be further from the truth as all hypnosis is self-hypnosis. The therapist simply facilitates the process- it is YOUR subconscious which does the work. In the same way, your subconscious can reject any suggestions or techniques it is not happy with – you cannot be made to go against your will. Some people worry that they may get stuck in an altered state or behave in a way which could embarrass them – again, this does not happen. Reiki is a safe, gentle non-intrusive hands on healing technique for use on yourself and with others. It is not a religion or belief system and is beyond all our human divisions. It is a holistic system for the healing, balancing and harmonising all aspects of the person – body, mind, emotions and spirit. It reduces stress levels, can boost the immune system and enhances creativity, communication and self confidence. It is very effective for people suffering with anxiety and depression. It enhances most medical treatments and procedures accelerating the body’s own natural healing ability. You do not have to believe in it for it to work. It works well with a chart reading. For example, a woman may have difficulty expressing her Moon energy. This could mean the feminine and masculine sides of her are out of balance or that perhaps she has problems relating to her mother/other women. Used in the right way, Reiki can heal this as well as other challenges such as interpersonal crisis, communication difficulties. Bringing a fresh approach to relationship healing. It will improve your life and is very enjoyable!! DISCLAIMER: While Reiki does have great health benefits it should not be used instead of orthodox medicine. It can however be used in conjunction with most medical treatments. IF YOU HAVE A HEALTH PROBLEM ALWAYS CONSULT YOUR GP FIRST. Do you want to improve your relationships or career/work situation? An Astrological reading can give you the answers you are looking for and throw light on parts of yourself you may be unaware of, in such a way as to validate, confirm and enhance who you really are. 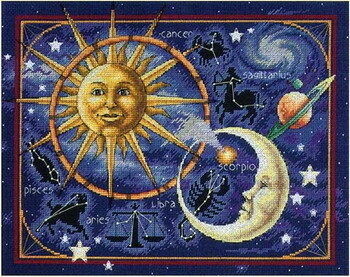 You may think of Astrology as it appears in the media which talks about Sun Signs, for example “Leo” or “Scorpio”. But the horoscope or natal chart is much more than this. It is a map of our Solar System on the day of your birth, at the time of your birth as seen from the place of your birth. By looking at the signs, Planets and houses (areas of life) and other celestial bodies I am able to have a deep understanding of you and your life and the challenges you may face. The birth chart can also be seen as a map. Few of us would venture on a journey to an unknown place without looking at a map. When we ‘arrive’ on planet Earth, we are hopefully guided by adults, usually our parents. When we venture in to teenage years or adulthood we want to find our own way on the earthly journey. We may encounter many opportunities, crossroads or obstacles as we travel, and with a map we are able to make informed choices. During our journey from cradle to grave we are also developing emotionally, intellectually and spiritually. We all go through certain developmental stages, maturing and evolving as we grow older. Many people have challenges to deal with, maybe because of a difficult childhood or traumatic experiences. An astrological reading can deepen one’s understanding of such issues, enabling one to let go and move on. The deepest urge of our soul is to grow. Within time we incarnate into many life times as individual beings and every life time adds to our accumulation of knowledge and expectations. Astrology works with levels of consciousness and dimensions of experience that are far beyond the understanding of the rational mind. As an Astrologer I can interpret a chart on a psychological level for those who require this. Those who require more knowledge of their spiritual journey or karma and the lessons of this lifetime, a chart reading can throw light on how past life issues may be carried over to the current life. I have been working with Astrology for over 30 years. As well as interpreting birth charts – a session of approximately 90 to 120 minutes – I am also an Astrological Counsellor. Should you need help on a more long term basis, say for help with relationships or work, this can be done using your birth chart. Using the chart in this way, enables me to get to the heart of your problem in a way which would take much longer with most other counselling tools. To find out more about how the combination of Astrology, Hypnotherapy and Reiki can benefit you, call me on +44 (0)20 7281 2042 or send me an email.